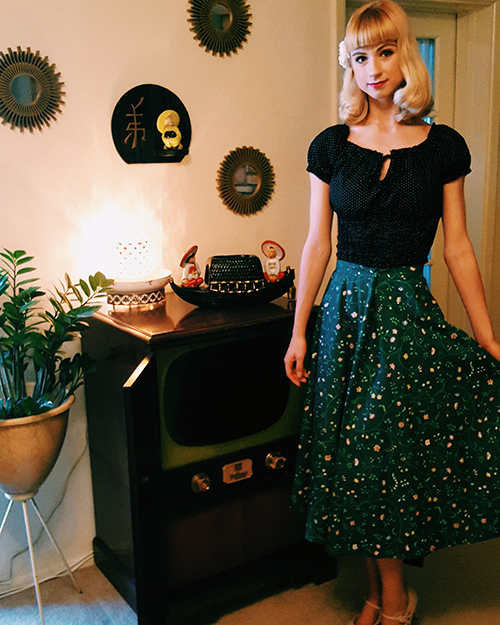 Rochelle Anvik at home with her 1950’s TV Set. The sound of a not-so-friendly alarm blares at 7 am and company dancer Rochelle Anvik is reminded how she is definitely not a morning person. But, groggy-eyed and all, she slips into her fuzzy slippers and makes her every morning breakfast of oatmeal with chia and flax seeds. Comforted by a cup of coffee, she starts her morning by watching some news on her 1950’s TV set, that yes still works! Next, its time to get ready, powder her face, brush her hair back into a bun, and head to the studios. Company class starts at 9 am sharp and runs an hour and a half. A couple of seasons ago, she tore her labrum in her hip and was at the point where putting weight on her leg was painful. “When ballet was all I had ever done it was a new world to me to have a limitation for a period of time, ” she says. “I never realized what life would be like without ballet and it truly made me understand how much I need it in my life.” With that said, Rochelle always makes sure to stretch before hand so she is properly warmed up for the day long day ahead. With the season just beginning, she also credits being vegan to helping her stay in shape and finds the plant based diet super important with how it makes her body feel and the improvement in her performance. When class is finished she has a 15 minute break before rehearsals, which means it’s time for a quick snack and right now she is on a peach craze. Once rehearsals start, Rochelle is running from one studio to the next. No day is ever the same, the dancers look at the schedule board which tells them what studio to be in, who is running the rehearsal, and what piece they are working on. Currently, Rochelle has been rehearsing for the company’s upcoming Ballet Under the Stars performances featuring George Balanchine’s Symphony in Three Movements, Artistic Director Ib Andersen’s work Pelvis, and highlight from company dancer Nayon Iovino’s newest creation! In addition to all of that, they are prepping for the mixed repertoire production New Moves taking place at the end of September at Orpheum Theatre, and just started rehearsals for The Sleeping Beauty which will be at the end of October at Symphony Hall in downtown Phoenix. 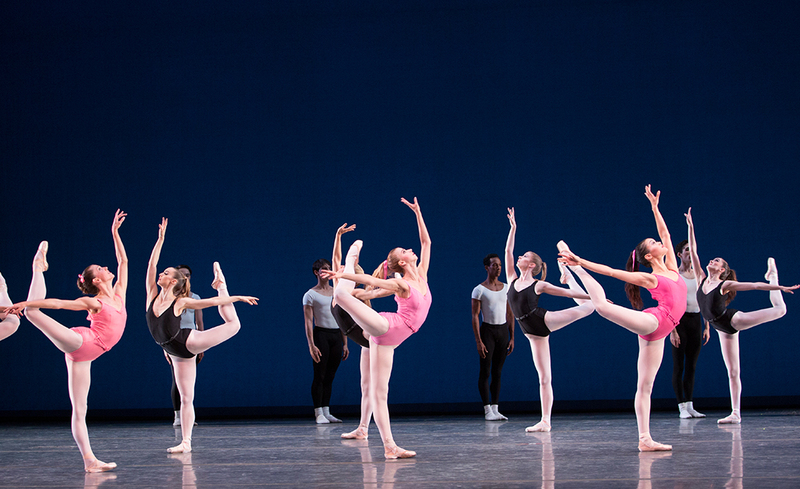 Rochelle Anvik (center) in George Balanchine’s “Symphony in Three Movements.” Choreography by George Balanchine. Photo by Alexander Iziliaev. © The George Balanchine Trust. By 4:30 in the afternoon, rehearsals are done and there is a dull aching pain pulsing in her feet and legs, and her stomach starts to rumble, which means it’s her favorite time of day, dinner time! Once Rochelle gets home, puts on some silky pj’s, sits on the couch and devours a giant mixing bowl sized salad. As a vegan, she adds black beans to the salad for protein and makes a nutritional yeast dressing that has B-12 vitamins. Rochelle Anvik as Stepsister Skinny in Ib Andersen’s “Cinderella.” Choreography by Ib Andersen. Photo by Alexander Iziliaev. If it’s a Friday night, Rochelle and her husband, Matthew, teach swing dancing at an event called “Sock Hope and Sodas.” Serving up sundaes and floats, playing 1950’s movies and dancing to all the classics, Rochelle and Matthew enjoy watching people of all ages enjoy the good ol’days and sharing their love of the 1950’s. As the night winds down, Rochelle makes an evening snack by blending together frozen bananas, cocoa powder, peanut butter, and almond milk, she says it’s like a Wendy’s frosty but vegan! Then she’ll watch some tv before going to bed. Right now she and Matthew are watching the old Lawrence Welk shows, which they love because the can dance and sing along. 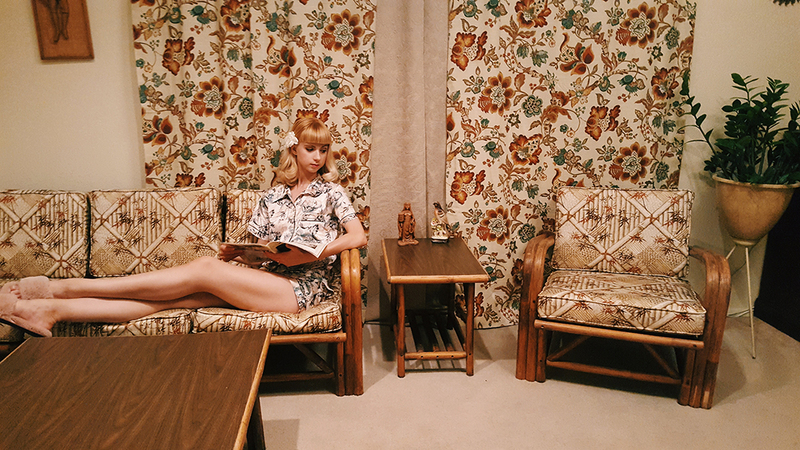 Rochelle Anvik at her 1950’s decorated home. An Arizona native, Rochelle began her ballet training at Jeanne’s School of Dance in Chandler. During the summers, she continued her training at Central Pennsylvania Youth Ballet, The San Francisco Ballet School, and Houston Ballet. 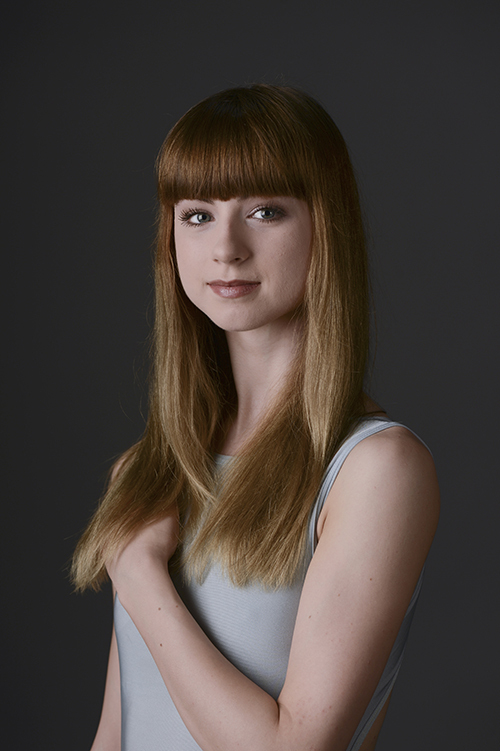 In 2012, Rochelle joined Ballet Arizona and has performed in George Balanchine’s Rubies, The Four Temperaments, Western Symphony, and Apollo. 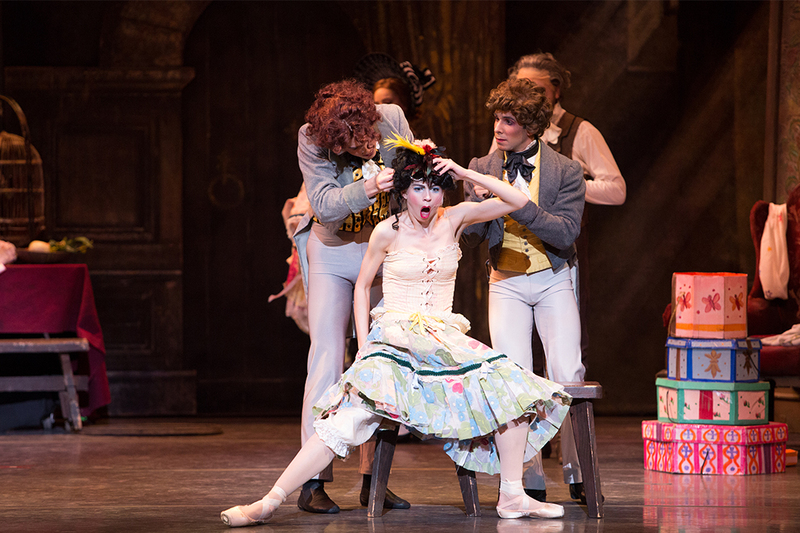 She has also performed solo roles in Artistic Director Ib Andersen’s Cinderella, Swan Lake, and The Sleeping Beauty. Click here to learn more!